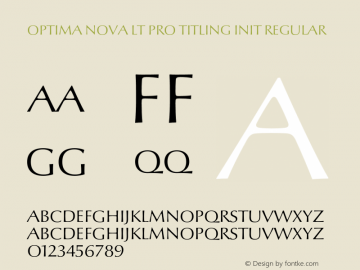 Optima nova LT Pro Condensed font family series mainly provide Regular,Bold and other font styles. 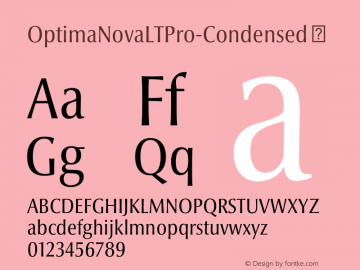 OptimaNovaLTPro-Condensed font family series mainly provide ☞ and other font styles. Optima nova LT Demi Condensed font family series mainly provide Regular and other font styles. Optima nova LT Light Condensed font family series mainly provide Regular and other font styles. Optima nova LT Condensed font family series mainly provide Bold,Medium,Regular and other font styles. 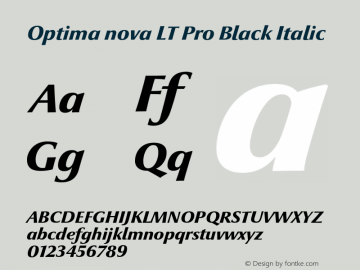 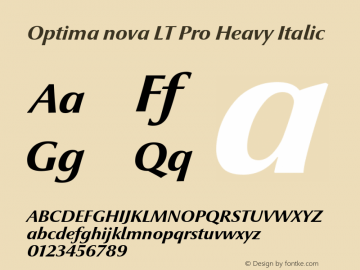 Optima nova LT Pro Black font family series mainly provide Italic,Regular and other font styles. Optima nova LT Pro Medium Cond font family series mainly provide Regular and other font styles. Optima nova LT Pro Titling Init font family series mainly provide Regular and other font styles.